Read all about our interview with Navar on how holographic technology is evolving in London. Includes companies who’ve implemented holograms already, the marketing possibilities and new potential job opportunities. Click here (in Chrome to translate)! 11th Annual POPAI Awards – Virtual Presence’s units were then given to guests on the night to take home so they had a holographic memento they would never forget. Find out more here. Virtual Presence’s latest application – Virtual Intelligence – offers fully 3D life-like holographic representations for any AI algorithm. We make Artificial Intelligence look good! Click here for details. Fashion. Your New Marketing Campaigns Have Arrived…and it’s Personal Holograms. The fashion industry thrives on innovation, creativity and being different. That’s where Virtual Presence steps in. Discover how we’re helping transform the fashion industry. More details here. Better educate the risks of what happens when we all do nothing. Virtual Presence holograms and our technology is perfect for raising awareness and climate change campaigns. Get started here. 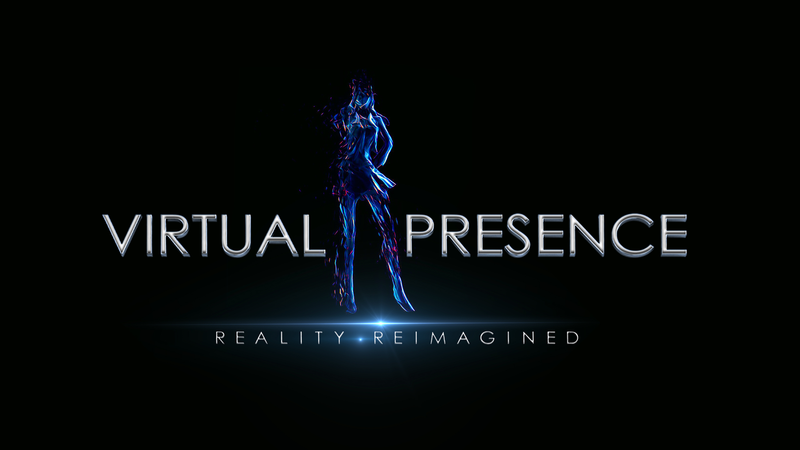 Introducing Virtual Entertainment by Virtual Presence! Our platform is a low cost, always ready, high volume solution. It gives fans easy access to their favourite artists in life-like holographic 3D. More information is here. NeuroHolographica, a Modern Rendition of the Patient Journey, was presented for the first time at AES using 3D holographic technology provided by Virtual Presence, London. The show featured a live maestro, who “conducted” the presentation, along with two life-size virtual patients and their hypothetical doctor. The presentation drew a large audience and significantly increased the number of visitors to the booth. UK based Virtual Presence recently launched in India with Luxury sports car manufacturer Lamborghini. Virtual Presence added a futuristic element to the launch of Lamborghini’s Huracan Avio with 3D holographic projections. Lamborghini unveiled the car with a customized hologram, projecting the fighter jet which inspired Lamborghini’s latest offering, both content and the technology was created and implemented from Virtual Presence HQ in London. Virtual Presence collaborated with Bio-Aesthetics to promote their revolutionary new anti-aging skin cream at the CCR Exhibition at Olympia London. Virtual Presence provided holographic retail units so the product stood out amongst the stands. The hologram units showed holographic content which captivated the passerby’s and maximized interest in the product. This project saw Virtual Presence partner with yet another pharmaceutical giant – this time one of the largest in the USA. It also marked the global launch of the first ever fully assembled 3D Holographic POS unit developed by Virtual Presence – low-cost, 10 inches, ideal for a broad range of applications. To see the amazing example for yourself click here!